It will work on predicting climate change impact on coastal communities & strategically important infrastructure such as ports & power plants due to increased frequency of tropical cyclones & sea level rise. Dr. Akhilesh Gupta, Head, SPLICE division, DST, unveiling plaque of ‘DST CoE in Climate Change Impacts on Coastal Infrastructure’. 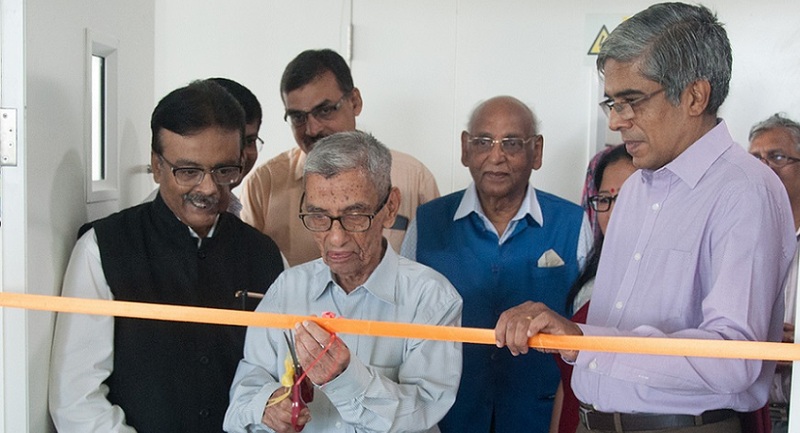 (L-R) Dr Akhilesh Gupta, Head, SPLICE division, DST, S. Raghavan, Deputy Director General of Meteorology (Retd), Regional Meterological Centre, Chennai, & Bhaskar Ramamurthi, Director, IIT Madras. Indian Institute of Technology Madras launched a ‘DST Centre of Excellence (CoE) in Climate Change Impacts on Coastal Infrastructure and the Adaptation Strategies’ today on campus. It will play a major role in helping communities in India’s 7,500 km-long coastal line to prepare for the impact of climate change such as rise in sea levels and increased frequency of tropical cyclones. 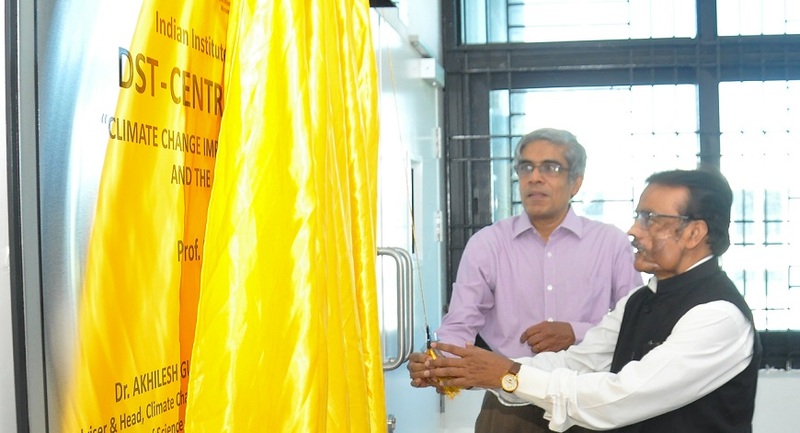 The CoE is being established by the Department of Science and Technology (DST), Government of India, at IIT Madras under Indo-German Centre for Sustainability (IGCS) centre. Bhaskar Ramamurthi, Director, IIT Madras, inaugurated the CoE in the presence of Dr. Akhilesh Gupta, Head, SPLICE division, DST, and researchers from National Institute of Ocean Technology, National Centre for Coastal Research, Regional Centre for Meteorology and IMD besides an inter-disciplinary group of faculty and researchers from IIT Madras and DST Officials. The CoE will carry out research studies on predicting climate change impact on coastal communities and strategically important coastal infrastructure such as ports, power plants and major industries. Studies will also be undertaken to evaluate the intensity and frequency of tropical cyclones and extreme rainfall events under futuristic warming scenarios and the corresponding effect on the coastal infrastructure. Addressing the inauguration function, Dr Akhilesh Gupta, Head (Strategic Programmes Large Initiatives and Coordinated Action Enabler- (SPLICE) Division), DST, said, “IIT Madras is the most appropriate to take up this kind of challenge. We have a lot of expectations from this Centre and am sure it will meet the expectations. We have 16 Principal Investigators working here. I am very sure the Centre will attain newer heights and have several new achievements. I congratulate all those who are part of his Centre”. He added, “This is probably the only one of its kind Centre in South Asia on climate change impact in Coastal vulnerability. We need greater collaboration among institutes in Tamil Nadu and their functional linkages with society and policymakers to tackle this huge issue. This Centre’s objectives have been aligned with the National Missions and is working on objectives that are national priorities”. The overall vulnerability of coastal infrastructure and communities will also be studied to bring out the risk involved and for designing appropriate adaptation measures. Further, climate change and sea level rise impact on the availability of water resources and its quality due to enhanced saltwater intrusion and ineffective waste management will be investigated. Speaking about the importance of this Centre, Bhaskar Ramamurthi said, “The climate change impacts on coastal infrastructure requires a multi-disciplinary approach. IIT Madras is happy to host such a very important program of the Government of India. We are able to bring, with a modest investment as this CoE leverages a lot of existing infrastructure, a lot of expertise. I hope this new facility brings together people from many departments and across the world and makes a name for itself by doing great work”. He added, “The IGCS is a centre where projects are undertaken jointly by faculty and students from India and Germany. The DST has been funding, under different initiatives, some through the projects. It is an interesting way to get minds from different parts of the world to work on a problem, identified by the Government of India as an important one”. Evaluation of risk and vulnerability of coastal infrastructure to climate change. Further, climate change and sea level rise impact on the availability of water resources and its quality due to enhanced saltwater intrusion and ineffective waste management will be investigated. The socio-economic impact due to the above factors will also be evaluated. Speaking about some of the important projects this CoE will take up, S.A. Sannasi Raj, Principal investigator of the CoE and Head, Department of Ocean Engineering, IIT Madras, said, “The design guidelines to protect vital coastal infrastructures such as ports, power plants and major industries along the coastal region due to climate change scenarios will be formulated under this CoE. This would form the basis of structural designs along the coastal regions in the very near future. While doing so, the interest of the coastal communities is considered through a scientific approach”. The Government of India and Germany have established the Indo-German Centre for Sustainability (IGCS) at IIT Madras. The new DST CoE will be part of the IGCS and will benefit from the collaborations with researchers from several well-known institutions in Germany. This Centre will also work closely with other institutions and organizations in Chennai and elsewhere in India, and who are engaged in climate change research to bring about the synergy. A panel discussion among the scientists of DST, IIT Madras, NIOT, NCCR and IMD was also conducted during the event, which was moderated by Dr Akhilesh Gupta. Speaking about the activities of Indo-German centre for sustainability under this CoE will take up, B.S. Murty, Coordinator, IGCS, IIT Madras, said, “This Centre has 16 Researchers from different disciplines of IIT Madras involved in tackling different issues of climate change impact on coastal infrastructure and coastal communities. We would be assessing the risk involved due to climate change and accordingly suggest adaption strategies for coastal infrastructure and communities, including water resources and waste management”.